There has been buzz around cloud technology for years, and it won’t quiet down anytime soon. You may not realize just how much you rely on the cloud already—whenever you access social media, download music, or view your bank balance online you are pulling data from the cloud. It’s that easy for business, too. 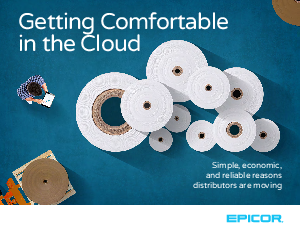 Download this white paper from Epicor Software to learn why moving to the cloud is easier than you might expect.